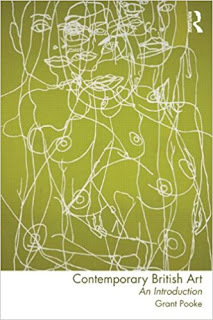 In his book Contemporary British Art Grant Pooke mentions that Bourriaud features in the book The History of British Art 1870-Now (2008) edited by Chris Stephens (fourth volume) and that he talks about developments since the millennium. Pooke relates this observation to Tate Britain’s Fourth Triennial Exhibition and Bourriaud’s manifesto for the Altermodern and draws upon Bourriaud’s use of the word ‘translation’ as an implementing of new languages in an overly westernised arena of historical identities. He says that the suggestion of the Altermodern reveals the cultural practice is ‘informed by hybridity, mobility and translation.’ (Pooke 2011 p11). That it puts the artist as ‘traveller’ in a state of ‘flux’ as they are affected by the ‘now’ of society and geography in which they are located. The implication is that the social context is now eminent out weighing the role of Modernism. Pooke highlights the relationship Bourriaud’s ideas have with post-colonial theorists Michael Hardt and Antonio Negri’s work Empire (2000). He suggests that the two share the vision of an international market that taps and encourages new audiences for the corporate good. Pooke also highlights though that he has doubts about whether Altermodern as a term can appear in the pure state that Bourriaud indicates. He cites Sarat Maharaj and how he talks about a bridge between western and non-western cultures which is difficult to cross without simplifying many complex meanings and languages and that in a sense it is untranslatable. Pooke is talking about identity and it’s many nuances and its relationship to the assumed British identity but that this should be questioned making the argument for the Altermodern even more complex if fixed identity is also in a constant state of flux. The paper begins by stating that in light of recent national reports in Australia, increasing non-traditional research outputs, and a growing number of higher level students studying creative arts there is an opportunity to discuss research models in the creative arts. The marginalization of the creative arts is highlighted in the paper that these early reports laydown a foundation for recognizing and assessing practice-led research. The fact that art research is still largely ill-understood in the University wide research arena is current to this day, and that funding availability is also limited because of this. The paper argues that there is an "other in effect" that derives from art research being viewed as a non-traditional form of research, which it is, but one that is invalided because of this difference, distancing it from what you might call institutional goals. The fact that there must be an additional research statement to support the Excellence for Research in Australia submission criteria reinforces this distancing. Key to this is that the preferred research currency within the national system are text based outputs. Also because of this, and the different output forms, arts funding has been excluded from the Australian Competitive Grants Register even in 2016. It is outlined that general funding for the arts in recent years has been poor, funding blocked and universities and art colleges are emerging, teachers are being let go and generally the vital role of the creative sector has been undermined. Artist research has an increasingly important role because of this academic landscape. If nontraditional forms can be standardized, or the process of assessment clearly visualized within university procedure then this can bring credibility to an art scene that is in danger of being downgraded or sidelined. But how can this be achieved? Some creative schools have developed a strategic plan that, "clearly articulates an overarching mission statement, values, priorities, goals and delivery strategies". Part of the implementation of a strategy could be to examine the strengths of the university's art faculty to highlight strengths in a particular field and then to further connect this to an industry or government agenda. This has the limitation of showing strength when arguing worth, potentially enhancing funding. But how harming is "articulating research priorities"? Is there a danger of narrowing faculty priorities or resources when it comes to trying to refine a mission statement? When art is such a diverse field how can this narrowing, or focusing benefit a diverse artistic field? Is this the imposition of a scientific agenda whereby one field is localized and particular types of results are expected? One acknowledged condition talked about it in the paper in regard to funding, and existing within current frameworks, is how to "effectively communicate, rather than marginalize the full scope of outputs." This will involve how to classify different forms of creative arts from visual to performance. How can we affectively communicate the full range of different outputs from a variety of disciplines? Maybe on some level it has more to do with the output than the process when practice-led research is considered as a difficult form to quantify? How can the Excellence for Research in Australia program encompass a narrow unique form of potential research? Could, as in New Zealand, frameworks revolving around aligning strategies on research themes be a possible way of implementing an evaluation model? Aside from the actual model ways of measuring the impact and engagement of the creative arts within a society, whether direct or indirect, is a vital aspect to consider when designing strategies. But because of the unpredictable nature of art practice is important to recognize that we cannot depend of this process and skew results towards a commercial or industrial agenda to satisfy funding. Across different creative schools insuring evaluation criteria might be a priority enabling the sector to grow and for the resulting research to be considered on par with other forms of traditional research. Potentially the way forward with this would be to identify research strengths and how they sit within a university faculty. Universal systems should be put in place for data collection and assessment as well as considering wider implications to socio-economic impact. In his paper, Intractable differences: artistic research and the problem of practice, Sade begins by outlining that artistic research and practice-led approaches exist ‘between academic research fields of professional artistic practice’. He is highlighting the fact that artist research may not follow the standard academic hierarchy of knowledge and how it originates. It may indeed reverse the process by employing what might seem unusual research practices. This statement is very interesting. The origin of knowledge or research within practice-led research is unpredictable, sometimes difficult to quantify, and expected, its origins open to the complete range of senses that don't necessarily follow a logical pattern. An artist can open themselves up to an experience that has a purely sensory origin, and therefore one that is difficult to quantify. How can this sit within the matrix that is a well-constructed quantitative research practice? The answer is it cannot and new boundaries and understandings need to be put in place that allows for this kind of research element. Sade says that ‘any discussion of methodology, and practice led research, must necessarily begin by dealing with the question of practice’ p3. He extends this by discussing the notion of practice which exists widely in the use of language but he indicates that much of its use is separate from the meaning that is imbued in practice-led research. By this he means that traditionally practice is viewed as to employ systematic rigour, where systems and frames construct a repetitive approach to conducting research. Yet does this open a discourse which might contribute to a wider conversation? Sade highlights that Bourdieu uses the term ‘theoretical constructs’ to describe the practice and any reflective process, that the researcher becomes an observer of their own work creating two separate strands. He talks of a reflective element to the actual practice, the physical action that then creates a thought process following on from the moment of creation. That these are intertwined and one in the same, but should be acknowledged as an integral part of a practice-led research as methodology. There is a transformation between the action and reflection that creates the research practice. Sade says that either of these elements should not be deformed, the goal being to avoid the creative practice becoming a research instrument and therefore not a worthy focus of study. Sade goes further and says that it is the form of knowledge creation which is the problem within the context of traditional research methods and attainable outcomes. He goes on to outline that this tension between traditional scientific research and the artistic practice-led research has some of its origins within the transformation of the education system in the 1990s. Formal art education was transferred from colleges to universities to exist within a well-established structure of educational research. But it didn't conform to traditional methods which then raised the question of funding of the arts at a research level, because it was argued that a practice led research on some level was lacking credibility. He discusses the fact that there is a problem over the way practice-led research is often forced to rationalise subjective judgements in order to make demands of incompatible research models. He suggested this could produce a dull, dumbed down, representation of an art practice that actually ends up bearing little relationship to mainstream art practice. It is apparent that there is a fine line between emphasis on research or on practice, being a professional artist or neglecting that for research theory. Sade suggests ‘…a world where both realist ontology is and socially constructive knowledge coexist.’ In other words, there may be a directly linear scientific approach within our world but that it is framed by social and environmental constructs that are manipulated by time and our perception, a pool of evolving theories into which practice lead artistic research finds itself existing. When looking closer at the actual nature of artistic research Sade confronts the critical praxis explaining that this is a reflection and action within the context of the artists’ social, political and physical environment, a source of understanding about real life which an artist should disrupt, using a reflective consciousness, allowing for a critical praxis. But he also talks about a deeper approach to an artist’s practice whereby they should explore the generative possibilities of the performance of creating art, akin to an interrogating phenomenology. By doing this he says it ‘underwrites artistic researches capacity to generate new possibilities for thought, practice and expression. The implication being that this generates new knowledge. Sade argues that this could potentially open new theories and methods on the nature of being which are absent from quantitative and qualitative paradigms. He goes on to say that it could affect the emerging thinking based upon ‘action that results from action’. In other words, both practice and expression provide possibilities for new forms of thought that are potentially localised. These exist within a series of structures that facilitate the emergence of knowledge, methods that have been established to formalise the process under the banner of practice-led research. Sade talks about the fact that knowledge emerges from combining the activities of ‘hand and head’ and engagement with materials that is then crystallised through theorising potentially written work such as an exegesis or an expansive series of creative works that follow-on from the revealed knowledge. He quotes Flusser who sees the process as the transformation of nature into culture. 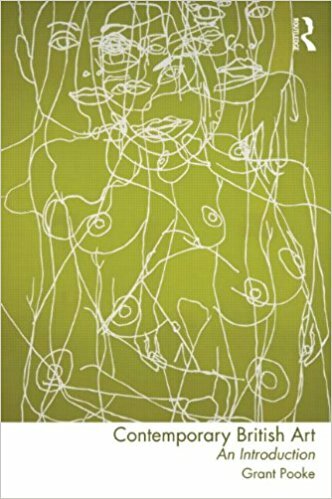 Throughout this text Sade revisits the notion of reflection and reflexivity saying that it may guide a critical practice, that there are a series of challenging social and ethical questions that place the practice within a world making context and yet rooted within personal experience. Sade says, ‘to understand practice requires an exploration of the dimensions of practice as ‘gathering’. A gathering in terms of thinking, the drawing together of ideas, concepts, language, images into forms of expression as well as a gathering in terms of the movement of materials and people across space and time.’ His position at the end of his paper is that he compares match that is research to life, in the sense that it has a symbiosis with the environment, where experiencing matter is repeatedly reproduced but yet is open to new possibilities, it's trajectory in some senses predictable but yet often ready for the unexpected. Bourdieu’s 1990 The Logic of Practice. (Chapter 5 The Logic of Practice Page 80-98 Stanford University Press) is used as a point of discussion for this short blog post. This is written with the look towards a paper I’m writing on The Methodology of Art Practice. It’s a complex text about practice as a whole but I have tried to apply some aspect to my understanding of practice led research in the visual arts, through some of the key enlightening elements of Bourdieu’s logical extrapolation. From the beginning he lays out that practice is problematic and can be viewed 'negatively'. Bourdieu stipulates that the connection between practice and the translation of practice creates a separation from the moment of practice that causes a discontinuity between its appearance and it's supposed meaning. He calls this 'the language of consciousness and the language of mechanical model'. He links practice to time, saying that it is in time that 'practice unfolds' and to then place this in a theoretical context would suggest its destruction through synchronisation. He explains practice as a heightened moment in which there is a detachment from the past and the practitioner projects into the future giving an urgency, and essential property or product of what he calls ‘the game’ and 'the presence in the future that it implies' p82. It is this sense of the future, this forward direction that makes the game what it is. But if you are to look on, or watch the game and contemplate the proceedings you are disconnected from that experiential moment, a severance from the practice. Therefore, the reflective theorising has a discontinuity with the actual practice. Can the artist develop a position of what Bourdieu calls 'pre-condition of adequate decoding.'? That is can the artist properly identify the references to different situations that have informed the works discourse, can they recognise a culmination, a complete view of the social and logical conditions of change within the product? It's this separation of practice and theorising which interests me the most. Being submerged in the practical moment is a phase that is separate from the reflection that can override the experiential quality of the practice, that is the physical essential moment of doing which culminates in a product. Does this create a theorisation effect? I believe that this is an important part of the theory behind a methodological approach but how should it be used? I believe that potentially there should be a deep focus, intense almost microscopic analysis, where possible, of the building blocks that make up your practical endeavour. This is the methodological approach to research and should remain within that context and therefore could potentially be different for an artist who is purely engaged with their practice and outside the research field, although this situation may be key to how some artists work no matter their situation. This poses the question of what is your practice? Is it just the moment at which a series of mental elements, decisions, influences culminate in a product or is it the process by which you experience these constructs? Are there any barriers and do there have to be? Is the artist’s practice all in compassing because the resulting product is a culmination of the influences upon the mind of that person? How can we separate the art practice from life when life, and everything we experience in it, influences the theoretical background of the resulting work? If an artist creates, recognises method, records and analyses the method, produces work as a result of the method, engages with this essential in the moment practice and then ultimately repeats how can we separate practice from a theorising affect when potentially they are one and the same. How much does the subconscious play in hiding methodology from the artist? Viewing the human consciousness as a metaphorical net that unavoidably catches a high percentage of influential experiences, that shape who we and must surely include unexpected or unrealised peaks of activity that contribute to our decision-making, it must then on some level empower the practical essence of the moment when an artwork is created. The choice of colour, subject, object, meaning as a result should originate from a range of experiences that may hide meaning from us. To empower methodology the artist must look beyond the strictly practical nature of what they do and seek to capture as much of the true nature of their practice as possible. It is only something that the artist can truly embrace and will involve honesty, self-examination and hopefully revelation. It is only natural to impose systems upon what we do, even supposed random processes. The attempts at randomness can be recorded as part of a method, of this there is no doubt, but the level of randomness will vary and external systems may be used and will appear to be separate from the persons being, as we are restricted by a physicality. So, to truly understand our Methodology we must interrogate what it is that drives our artistic action. What is it that makes you do the things you do in the way that you do? A process of recording will have the division that Bourdieu’s The Logic of Practice highlights; moment of creation and looking to the future then to recording that looks backwards, involving a degree of separation from the essential practical moment but in the sense as I've explained this division is part of the wider picture that becomes your practical basis. Acknowledgement of this step between the two may well enlighten the methodology. I end with Bourdieu’s definition of what he calls a Theorisation Effect (p86): ‘Forced synchronisation of the successive, fictitious totalisation, neutralisation of functions, substitution of the system of products for the system of principles of production.’ Do we as artist researcher employ a Theorisation Effect in our Methodology? Bourdieu, P. 1990 The Logic of Practice. Chapter 5 The Logic of Practice Page 80-98 Stanford University Press.